The ultimate introduction to longarm quilting and what you need to do it well. The ultimate introduction to longarm quilting; what it is, how to do it well, and what you will need to run a longarm quilting business. This is a topic specifically understood by the patchwork and quilting industry and is something you maybe ready to explore, so let's start by defining exactly what we mean when we talk about longarm quilting. Longarm Quilting, as the name suggests, is a sewing method which involves the use of a longarm quilting machine. Thanks to the developments in technology, quilters now have options to sew quilts together rather than hand quilting which was the method used many years ago. Today, quilters do use a home sewing machine or get the quilting job done by a longarm quilting machine. The longarm quilting machine allow the quilter to load top, wadding or batting and the quilt backing fabric into a metal frame, and sew the three layers together in one step. While the fabric stays firmly in place, the machine rolls vertically and horizontally over the quilt surface. 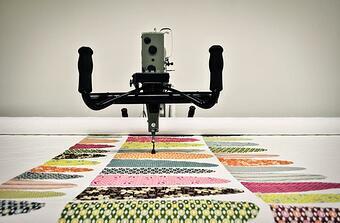 Operation of a longarm quilting machine can be operated manually or automatically using digital quilting designs. Let's get to the point; why should you start longarm quilting using wide quilt backings? Why should you go to the effort of using a longarm machine? 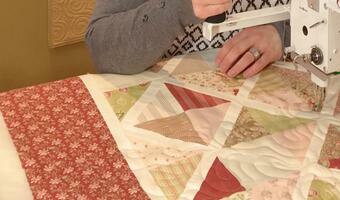 Why not stay with the old-fashioned machine quilt method? The main reason to consider quilting with a longarm quilting machine is time, especially if you need to sew a large quilt. Choosing to use Quilt Backings means you will not need to join fabrics and can get started with loading all three layers onto your longarm quilting machine. If you're designing a quilt but are unable to quilt it at home, we recommend using a professional longarm quilter to give your quilt the best finish. 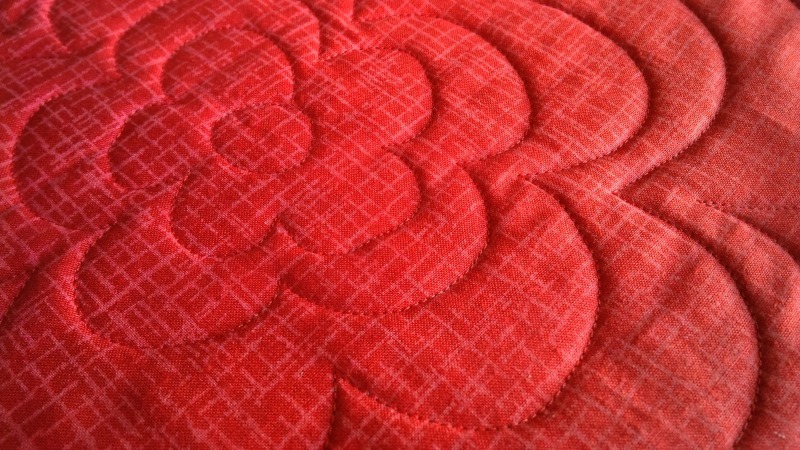 Have you considered using a premium quality wide quilt backing? At Kennard & Kennard, we know how great it feels when you finally finish a sewing project that you’ve been working so hard on. 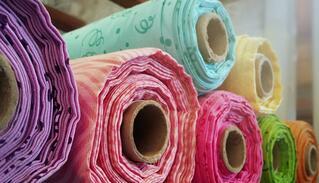 This is why we are proud to supply a range of incredible wide back quilting fabric, supplied on 15m rolls. 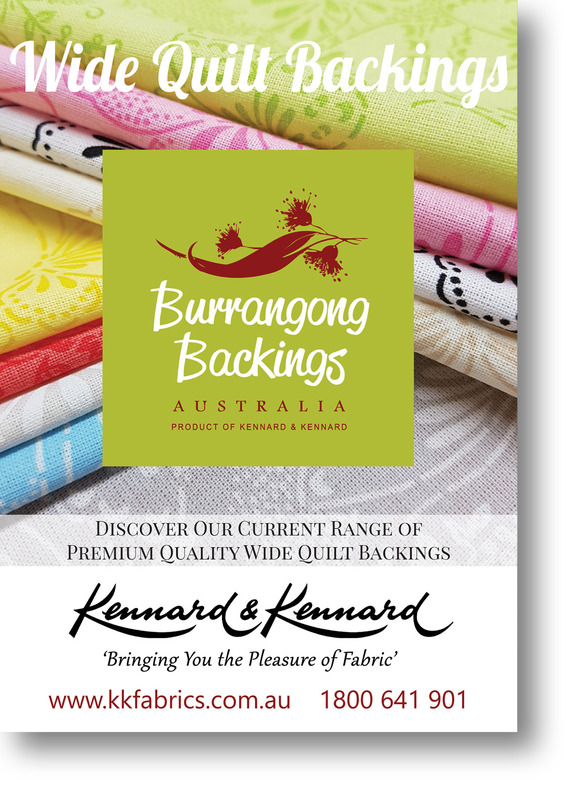 Our special range of 100% cotton backings, designs and colours will make the back of your quilt every bit as unique and beautiful as the front. View our complete range of Wide Quilt Backings online. 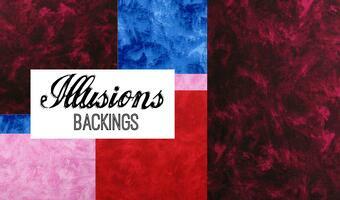 See our current fabric range of quilt backings and see the variety you have to choose from. You put a lot of time, effort and money into creating the front of your quilt, a project which will be treasured for years to come. 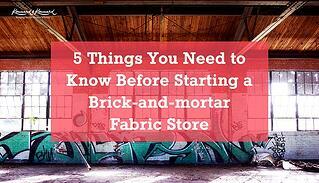 How could you settle for a lesser quality fabric for the back of your quilt? A Quilting Festival for students, teachers, vendors, sponsors and volunteers! 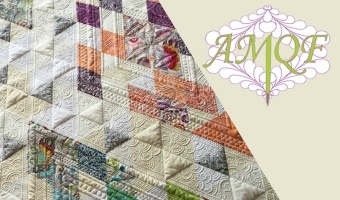 Have you been to the Australian Machine Quilting Festival? 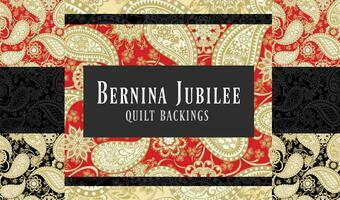 New Bernina Jubilee Quilt Backing! Remember Illusions? Now available in Wide Quilt Backing! Check out the full range online because it's going to be perfect for a wonderful quilting result! High quality quilts deserve premium quality fabrics which result in enhancing your beautiful quilting, stitching, applique and embroidery. Looking for someone to supply Quilt Backings by the metre? Contact your nearest stockist today. 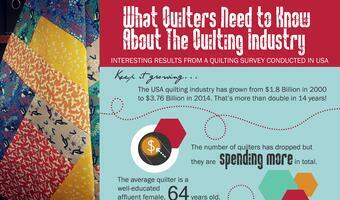 We found these results from a quilting survey conducted in the USA interesting, giving quilt shops and longarm quilters insights into how quilters spend their money.